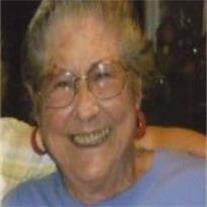 Lillian Capitola Currier, 89, passed away November 16, 2010. Visitation is Monday, November 22, 2010 from 6-8 PM at Bunker’s Garden Chapel, 33 N. Centennial Way in Mesa. Memorial services are Tuesday, November 23, 2010 at 1 PM also at Bunker’s Garden Chapel.